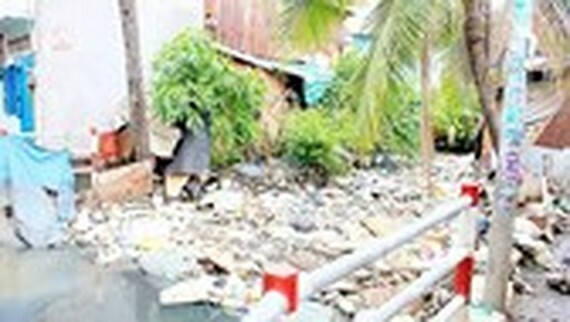 The Department of Natural Resources and Environment in Ho Chi directed related agencies to enhance fines on violators who throw rubbish directly into rivers. People’s committees in districts 1, 4, 5, 6, 7 and 8 which have rivers will increase dissemination of information encouraging households living along the banks of the rivers and paying fee to garbage collection company as per the regulation. A collection system should be set up to collect all the solid waste of each household. Inspectors will monitor and issue fines to those who throw rubbish into rivers and canals. The office of People’s Committee in HCMC yesterday announced to approve the garbage collection company of district 8 to fish floating rubbish out of canals Doi, Te, Tau Hu, Ben Nghe in districts 1, 4, 5, 6, 7 and 8 to the end of 2018 and the Department would monitor the district 8' s garbage collection company. 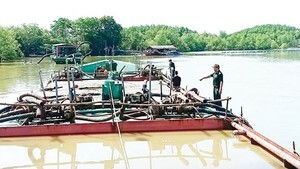 The Ho Chi Minh City Inland Waterway Region is assigned to have a way of fishing water hyacinth, weed and litter in canals and it will be implemented in early 2019.